With us, technology is always at the forefront. When it comes to new technologies, Keystone is never asleep. We are always paying attention to new trends and possibilities that may add productivity and innovation to the manufacturing of our products. 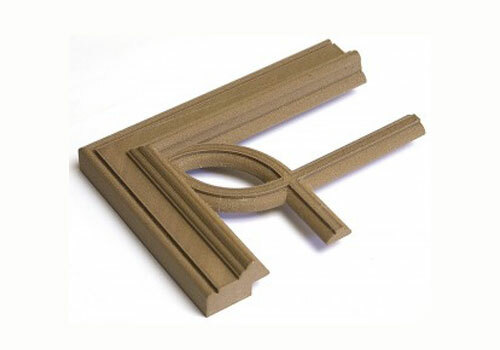 Currently we are exploring the emerging use of 3-D printing. Still a developing technology for us, there may be a potential, in the short term, for supplying customers with detail samples of custom designs. In the long term, with improvements in speed and lowering cost, there may be possibilities for more complex applications. In the mean time, we continue to think creatively and explore ideas. Shown above is a corner detail for a new mulit-lite cabinet door design. Beginning as a CAD drawing concept, the project moved to the proofing stage with the printed three dimensional detail rendering. The result is a new door style that we were able to see in part (and turn over in our hands) before the actual door was manufactured. If you are planning to attend IWF August 20-23, be sure to visit our booth to see a live demonstration of 3-D printing, and handle a printed sample. See us at IWF booth 4344. 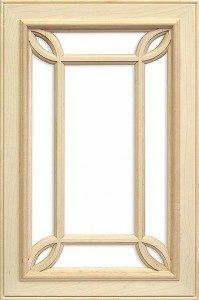 Click to see our other Cabinet Door styles.